Get free tickets to an advance screening of the abortion-themed indie rom-com Obvious Child! I’ve been excited about Obvious Child since way back when it was just a short. And I couldn’t be more thrilled that it’s been turned into a full-length feature and is receiving critical acclaim. As we’ve mentioned on the blog previously, Obvious Child is a huge breath of fresh air. Cultural depictions of abortion are not generally the greatest, often feeding into stigma or myths. 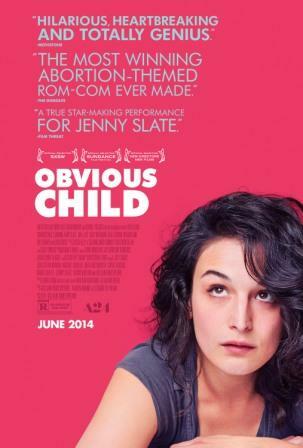 Obvious Child provides an honest look of the choices available to women when facing an unplanned pregnancy. That’s why I’m so pumped to hang out with you all IRL and watch it together!